The staff and management of Orillia Kia are pleased to offer our support to The Sharing Place Food Bank. With Thanksgiving just days away and the holiday season soon to be upon us, we know there are people in our community that are not as fortunate and need a helping hand. With every new or pre-owned vehicle purchased between October 3 and 7, 2017 a donation of $250.00 will be made to The Sharing Place Food Bank in Orillia. This will provide food for 5 people in our community with each vehicle purchased during this event. Purchase any new or pre-owned vehicle and receive an additional $250 off our best price (plus any applicable incentives) and Orillia Kia will donate $250 to The Sharing Place Food Bank in Orillia. 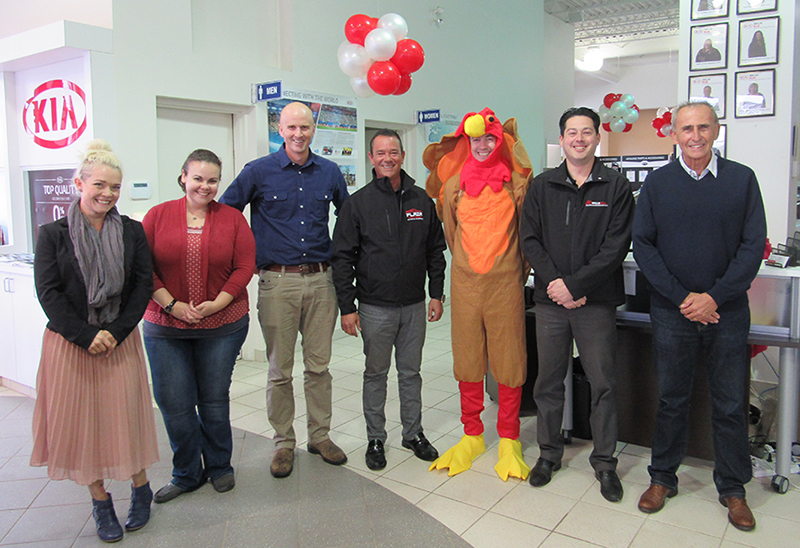 The Thanks!Giving Sale is being held in partnership with Subaru of Orillia. May the best dealership make the largest donation! "Sharing food with hope and dignity to build a healthier community"
The Sharing Place Food Bank is the Orillia area's largest and busiest food bank operating since 1988. In the past 12 months The Sharing Place Food Bank has provided nutritious food to approximately 15,000 people of all ages, from infants and toddlers to disabled seniors. Visited by young families each week, and at least one-third of clients are children. For more information or to make a donation to The Sharing Place Food Bank you can visit their website, like their page on Facebook and follow them on Twitter. Together Orillia Kia and Subaru of Orillia donated $4,250 to The Sharing Place Food Bank. Thank you to everyone for your contributions to this community fundraiser! 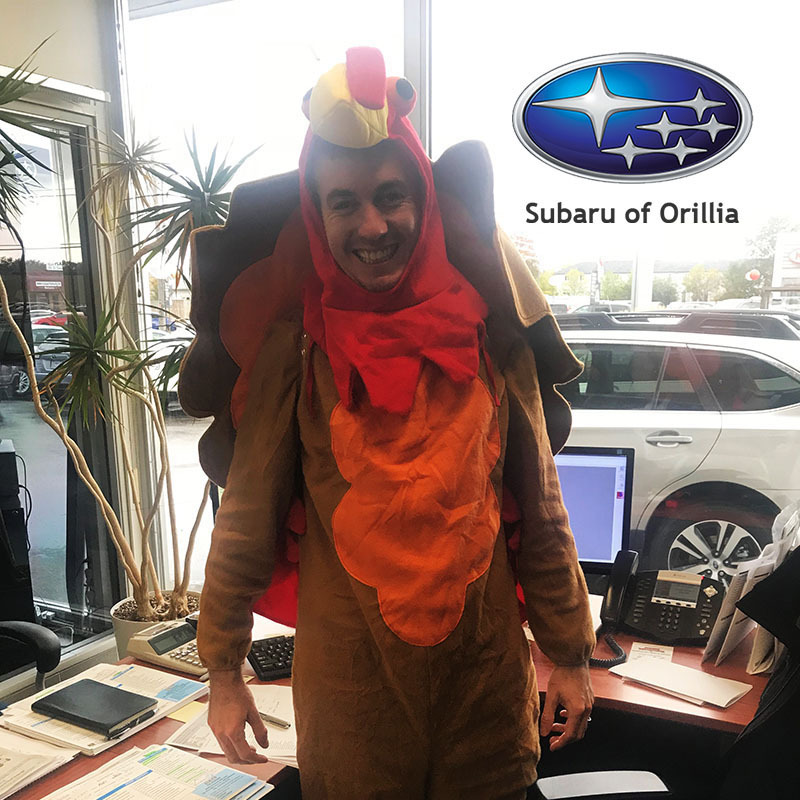 The second place dealership is Subaru of Orillia and Brock wears the turkey costume on Saturday October 14, 2017.